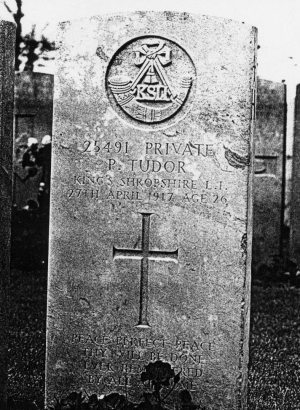 PRYCE TUDOR (No: 25491) was born in Oaken, Staffordshire and was living in Leebotwood when he enlisted in Church Stretton into the KSLI. He died of wounds on 27 April 1917, aged 26, whilst serving with the 7th Battalion. 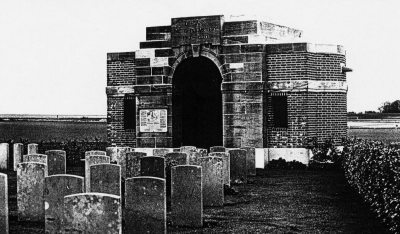 He is buried in Duisans British Cemetery at Etrun.